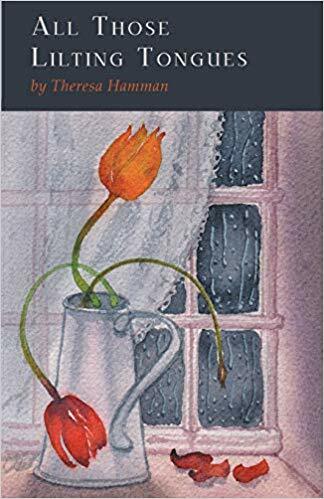 April 11, 2019 LA GRANDE, Ore. –The Carl and Ellston Ars Poetica Series welcomes local author Theresa Hamman, who will read from her chapbook “All Those Lilting Tongues” at 2 p.m. on April 20 at Le Bebe Cakes Bakery. The event is free and open all. An EOU alumna, Hamman has pulled her inspiration from personal experience, the surrounding landscapes, and other noted poets. Hamman said she explores the techniques employed by other writers and observes how they depict experience, objects and events. Jennifer Boyden, author of “The Chief of Rally Tree” praised Hamman’s work. Hamman arrived in La Grande and enrolled at EOU in fall 2011 as a non-traditional student. She said she was concerned about the stress of earning a degree, but with support and encouragement from faculty in the English/Writing and MFA Creative Writing programs, she achieved her goals and received an advanced degree in poetry. She is currently working toward an additional degree in literature from Mercy College in New York. Hamman has practiced other forms of writing, but called lyric poetry her first love and her specialty. Le Bebe Cakes is located at 1103 Washington Avenue in La Grande. Copies of “All These Lilting Tongues” will be available for sale and signing at the reading.